There is nothing fresher than springtime in the North Carolina Smokies. 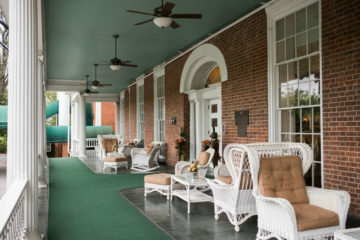 As the mountains awake from their winter slumber and eagerly welcome the first blossoms of spring color, you will find the ideal seasonal getaway in the picturesque towns of Waynesville, Maggie Valley, Canton, Clyde, and Lake Junalaska. Fondly referred to as “the other color season”, the area comes alive with the early blossoms of spring like daffodils, dogwoods and cherry blossoms. 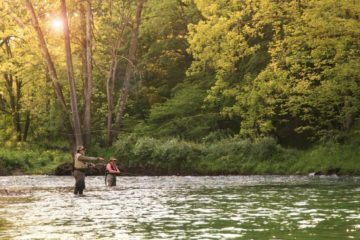 Warmer days and mild evenings offer the perfect opportunity to enjoy a plethora of outdoor adventure and unique local hotspots amidst the scenic backdrop of the Great Smoky Mountains. 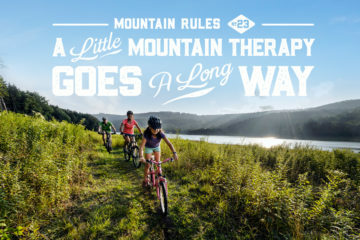 Whether you’re looking for that special “off the beaten path” hiking excursion or an epicurean adventure, the North Carolina Smokies are serving up the freshest springtime experiences around. 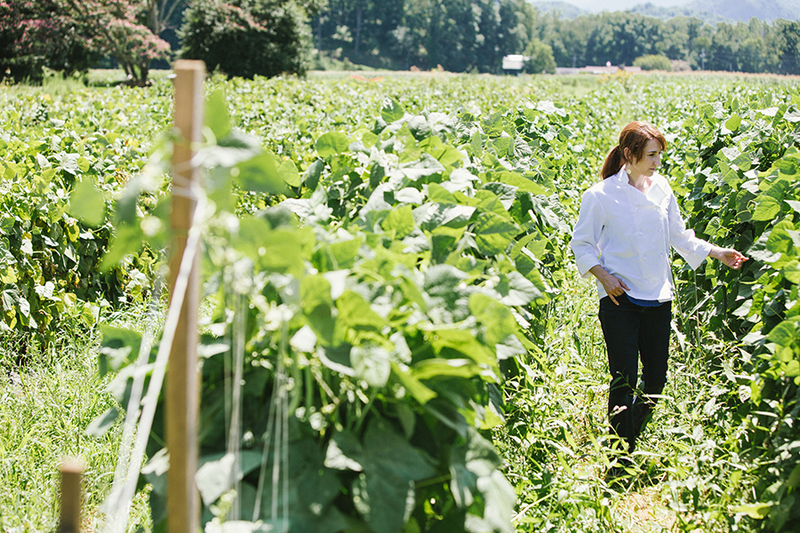 Haywood County is home to rich agricultural offerings, with over 700 farms encompassing more than 56,000 acres – from sprawling picturesque farms to family-owned and operated homesteads. With that comes endless agritourism opportunities spread across Haywood County’s five towns and rural communities. 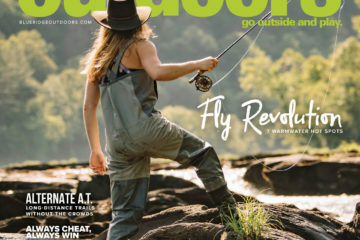 To experience Haywood County’s unique agripreneurial offerings, grab a copy of Buy Haywood’s “Find Your Adventure!” Agritourism Guide. 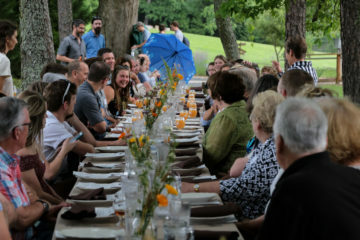 Haywood County offers year-round opportunities to explore the many agritourism adventures available in our area, like historic Farmer & Tailgate Markets, award winning “Farm to Table” restaurants, specialty retail Shops, heritage festivals, U-Pick farms, and more! 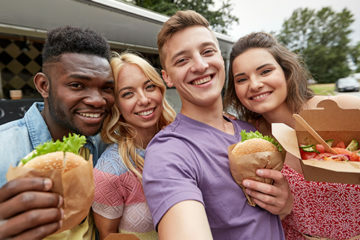 Come celebrate it in Waynesville visiting the town’s FOUR craft microbreweries: BearWaters Brewing Company, Boojum Brewing, Frog Level Brewing, and Tipping Point Brewery. 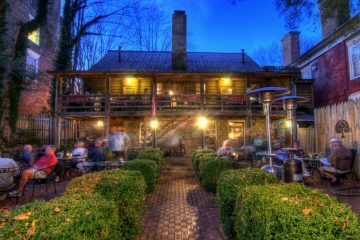 All located within a short radius of each other, you can conveniently enjoy their one-of-a-kind brews while experiencing the charm and beauty of downtown Waynesville. Each brewery will celebrate North Carolina Beer Month in their own special way so make time to visit each one. 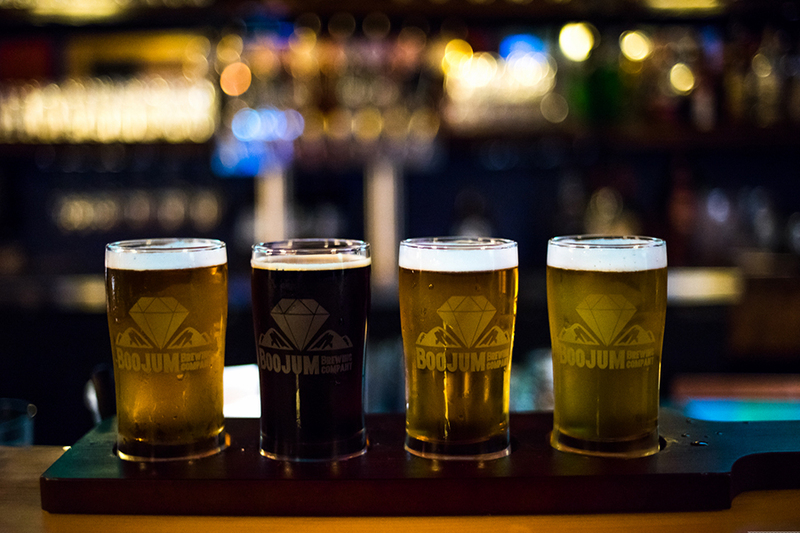 There are also a number of other establishments boasting the area’s local brews, like Mad Anthony Wayne’s Bottle Shop, Sunburst Market, The Classic Wine Seller, and The Strand at 38 Main, just to name a few. Cheers! 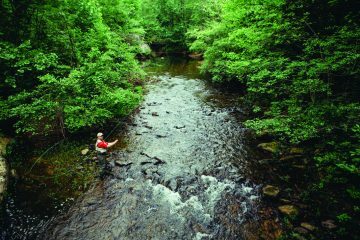 With several trails offering easy year round access, Haywood County is a basecamp for fantastic spring hiking. 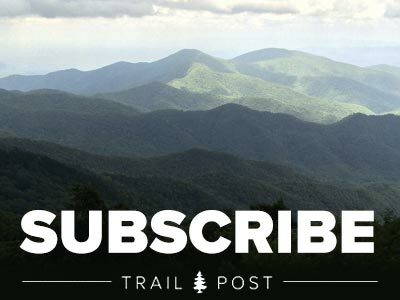 Purchase Knob, located in northwestern Haywood County along the border of the Great Smoky Mountains National Park, offers butterfly and wildflower abundance, native wildlife, historical significance, and amazing panoramas. The Sam’s Summit Loop Trail, located just off the Blue Ridge Parkway on Hwy 215 is another hiking gem with year round access. 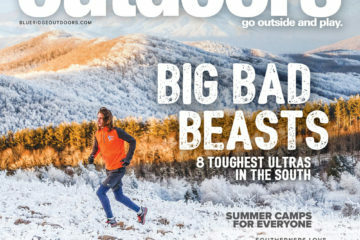 This trail weaves you through several ecological systems and boasts incredible sights of the Shining Rock Wilderness Area. Both of these trails have been spotlighted by certified Blue Ridge Naturalist, Ken Czarnomski. His passion for hiking, mapping, and drawing brought to life a unique hand illustrated guides for both Purchase Knob and Sam’s Summit. 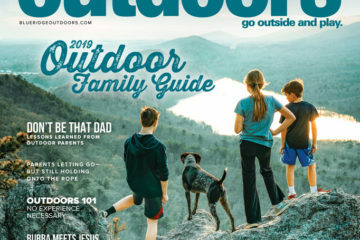 The free guides are available exclusively in Haywood County through the Haywood TDA. 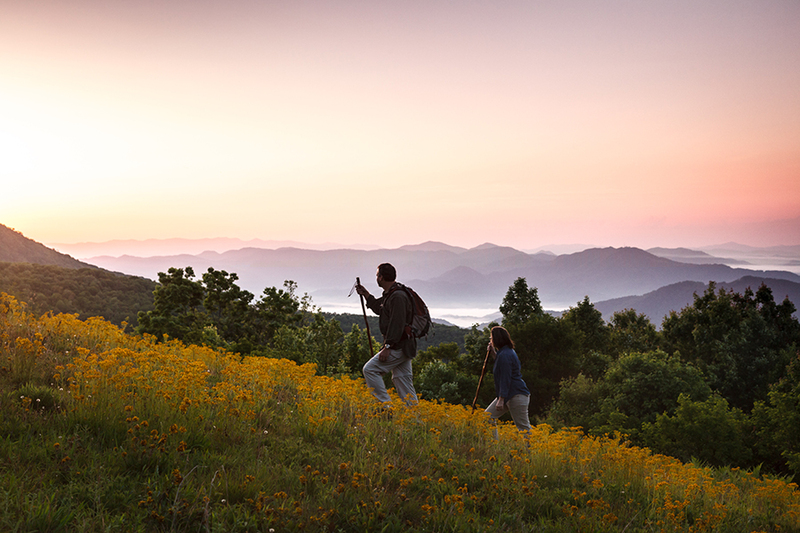 There are a number of other great hiking areas to explore from Cataloochee Valley and the Blue Ridge Parkway to a scenic stroll through the majestic gardens of Lake Junaluska. 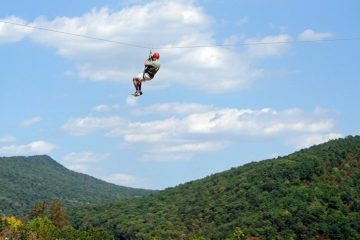 For more suggestions, visit www.visitncsmokies.com.